No, Jim Hayes’ rug isn’t all that interesting, but the guy just to the left of his rug, making the universal “rug munching” sign is pretty funny. 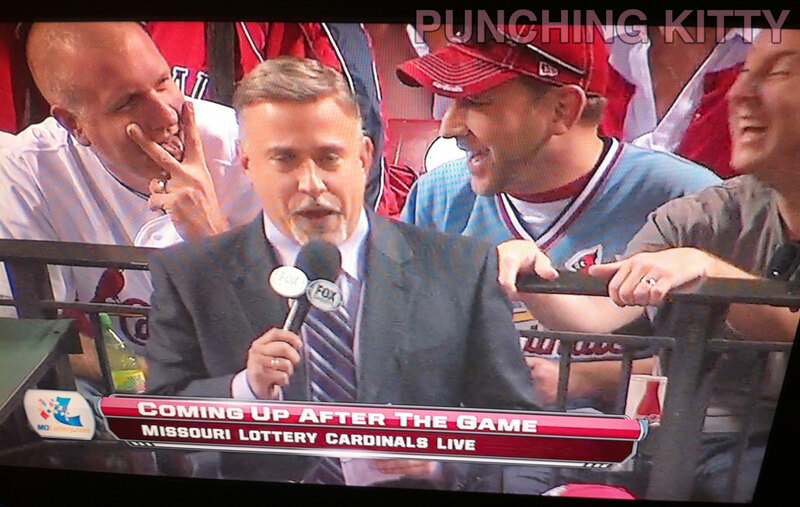 …and the “Missouri Lottery Cardinals Live” is up next! Be sure to call in your suggestion to trade Skip Schumaker to the Yankees for everyone they have that’s good, because it totally sounds plausible.